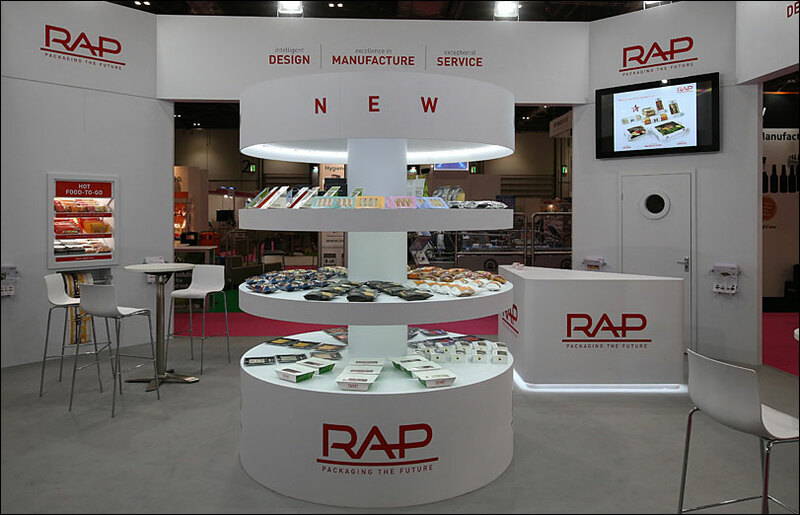 RAP, the market leader in food-to-go packaging, approached us to help design their exhibition stand for Pro2Pac at London Excel. 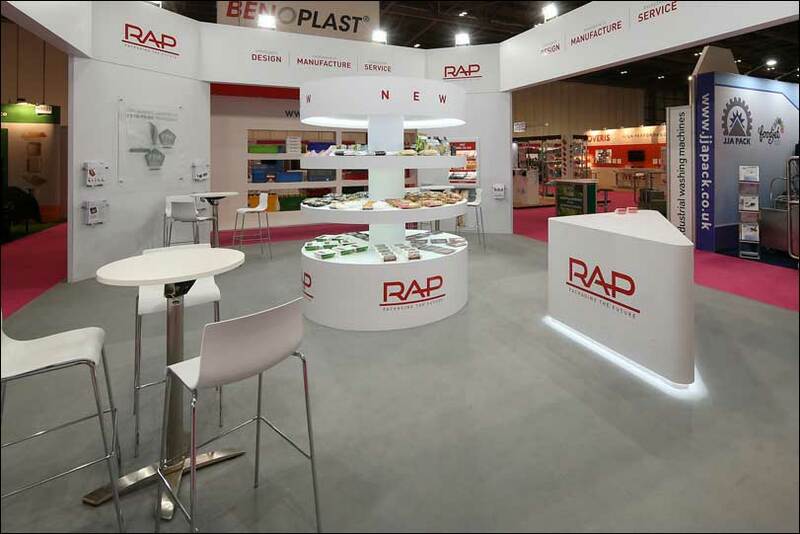 In terms of scale, it was RAP’s largest space to date and their aim was to make a strong impact on the event. And we didn’t disappoint on the day. 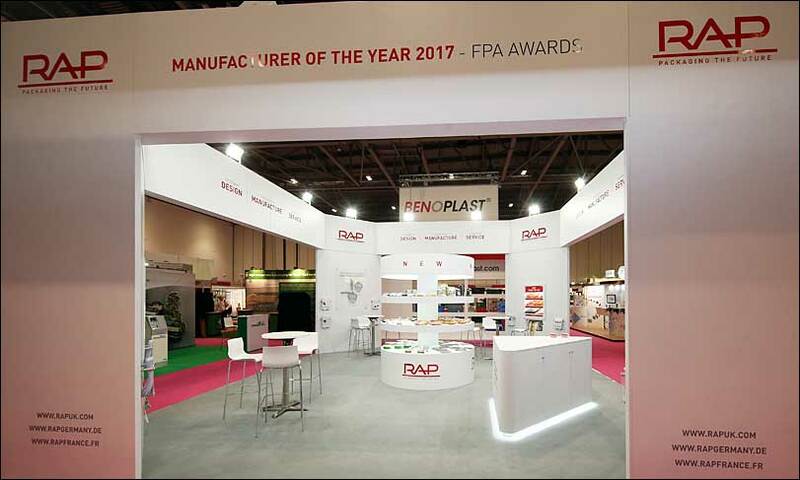 Ensuring the stand was successfully built and removed within the venue’s allotted time slots, our team member on the ground was on hand to guarantee that the client was totally satisfied. What’s more, the stand achieved the right results. Standing out from the crowd, the clinical, slick design contrasted starkly with the cluttered stands that surrounded it. The stand’s new centrepiece attracted prospects, and the curved edges to all elements gave it a modern feel. According to the client, it “perfectly complemented our existing corporate branding”. RAP rated the overall experience of working with us at 9/10, adding that we “excelled in all areas”. We’re on board for their next show where we’re aiming for the perfect 10! And would the client recommend us to others?